Leonard Nimoy, Actor, Director, and Photographer, passed away yesterday February 27, 2015. He was known best for playing the role of Spock, on Star Trek. As far as I know, I am not related to him. His parents were born in Iziaslav, Volhynia [source], which is about 150km from Zhitomir, Volhynia, where I believe some of my Dudelczak ancestors may have lived. I am a long-time Trekkie. 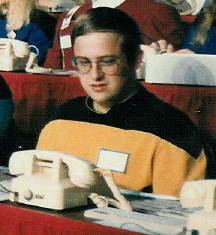 Back in 2007 I posted a photograph of myself from a 1992 or 1993 Jerry Lewis Telethon, wearing a Star Trek uniform. Nimoy died from Chronic Obstructive Pulmonary Disease (COPD), which he blamed on his years of smoking. Both of my paternal grandparents died from smoking-related causes. I can't echo his sentiments enough. In November of 2007 I had the opportunity to hear Nimoy speak at the St. Louis Jewish Book Festival. He was there to sell and sign copies of two books: The Full Body Project, a collection of photography, and A Lifetime of Love, a collection of poetry. I brought home the latter. He will be missed, and remembered, by a legion of fans, as well as by his friends, and loved ones. When a family historian is looking at ancestral documents it is important to give consideration to the other names one finds in the document. Friends, Business Associates, Witnesses - conducting at least minimal research on these individuals is advisable. Not doing so may lead to missing out on some major discoveries. My second great grandfather, Selig Feinstein, set up a business with Max Wieselman as horse shoers during the 1890s in St. Louis. 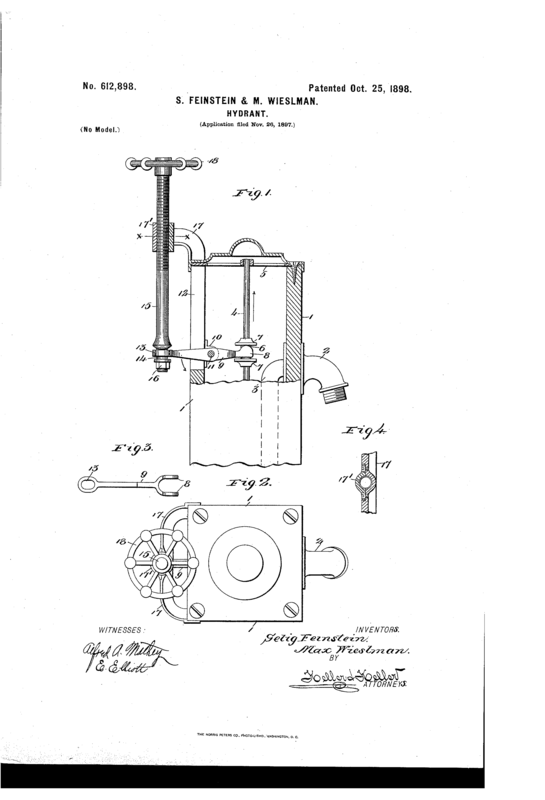 (They also filed a patent together.) It wasn't until I conducted some research on Max and his wife that I realized Max was likely born in the same Ukranian town as Selig. This **could** be a coincidence. Coincidences happen. But there could also be a relationship. Unfortunately, the records I need aren't online. Barring localized research in the Ukraine, which may be beyond my abilities, my best shot is to find a descendant of Max and ask them to take a DNA test. If they're related, that wouldn't tell me *how*, but a DNA test should tell me one way or another whether more research is necessary. The digital copy of Clifford Cruvant's name correction doesn't have a date. (Whoever did the scanning didn't get the whole document.) However, by researching the County Clerk's name, I was able to narrow down the possible years. I could order the document from the current County Clerk, but for now knowing that it was after 1930 is enough information. I haven't been able to find either Clifford or his mother in the 1920 or 1930 census, but I know they were alive, somewhere. 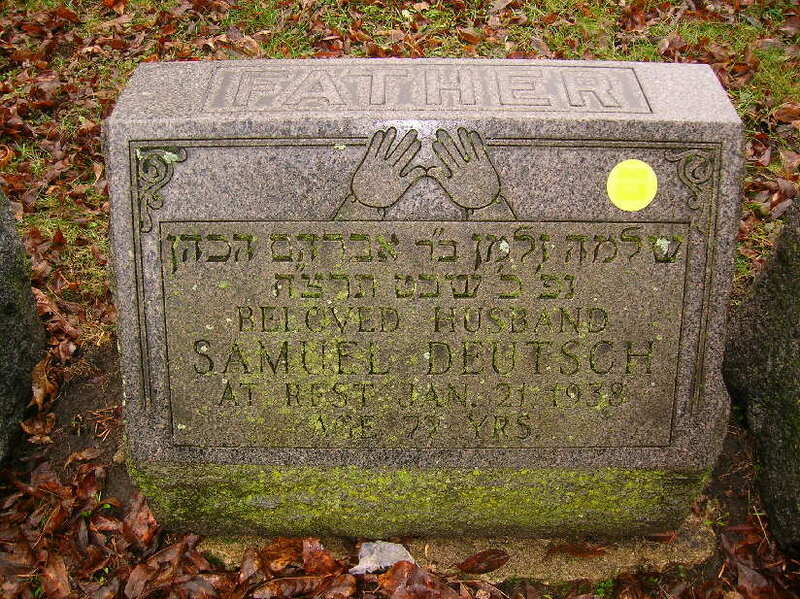 If I hadn't conducted research on Marcus Hast, the cantor who performed the wedding for my great grandfather's brother, Sol Newmark, and his wife Sarah Nathan, I would never have realized he was from Warsaw, Poland, not far from where the Newmark family was living before immigrating to England. I also wouldn't have discovered the scores for the wedding music that he had composed. It's not definite that it is the same music that was played at the Newmark-Nathan wedding, but there is a strong likelihood. I’ve mentioned before that error-free genealogy is impossible, no matter how careful one is. But with care, we can limit our mistakes. Tracing a family backwards in time through census reports is something almost every genealogist does, but it is very easy to take a wrong turn if one isn’t careful. One problem is census reports only provide a snapshot every ten years, and lots can happen in ten years. Another problem is that census takers didn’t always have great handwriting, so the online indexers can easily garble a name. Perhaps the easiest way to make a wrong turn is if you find what you’re looking for immediately. So you conduct a search for the person in the 1910 census, using their name, state of birth, and year of birth +- 2. And you find exactly one result – a child with two parents. How do you react? It’s very tempting to be relieved that it was so easy, to write down the information on the parents, and see if you can go further back. What would you do if you found more than one result? You’d have to conduct some research to see which family is the correct one. And what would you do if you found no results? Probably you’d add some wildcards into the search, and see if the person you’re searching for got indexed with a strange spelling. Back to the one result…Do you see the problem? If all you are going on is year of birth, state of birth, and name, it is possible, is it not, that this isn’t the correct person? The person you are searching for could be hiding under a poorly written, or poorly transcribed name. Or it is possible they don’t even appear in the census. The census reports are by no means complete. The more common the surname and given name, the more likely this is possible. Additionally, given names frequently change from childhood to adulthood. I've made my share of research mistakes, and there are likely some I have made which I don't yet know about. What I feel is important is that I always keep an open mind to the possibility that any conclusions that I make from my research have a potential of being wrong. There is No Federal Holiday Called, "President's Day." Of course...state governments, schools, or the company you work for, can call a holiday whatever they want to call it. They can also declare the holiday celebrates whatever they want it to celebrate. But the Federal Holiday that is today is only for George Washington. The National Genealogical Society is holding their annual conference in May ten miles from my home. I have never been to a Genealogy Conference. Back in 2007 when the topic for the Genealogy Carnival was Conferences and Seminars, I wrote the humorous: What to expect when your favorite genealogical conference merges with a local SF convention. My conference/convention experience is still limited to Science Fiction conventions, but I am looking forward to that changing in May. Any advice from experienced NGS conference-goers would be welcomed. I am especially interested in knowing at what events I am most likely to have a chance to meet some of the others in the genealogy community I've only had a chance to communicate with electronically for the past eight years. I suspect the panel sessions won't provide much opportunity to socialize. In so doing, it seems, I may have been volunteering to set up such a gathering - there seems to be some interest in setting something up on Saturday evening as a "Deconpression." Note: to all those attending the conference who will have transportation. If you are planning on staying in the St. Louis area on the Sunday following, the St. Louis Renaissance Festival may be of interest, though it will be a half hour drive.